Backpacks, the ultimate back-to-school essential, have morphed into a completely grown-up trend. Unfortunately, the season’s coolest handbag is often accompanied by grown-up prices, too, which is why we’ve sourced 15 completely affordable backpacks for you to shop. From sleek and polished to casual and cool, you’re sure to find a suitable stylish option. Scroll down to shop 15 chic handbags, all for under $150! This roomy backpack is streamlined and simple—minimalism for the win! A red backpack hits two major fall trends, and adds a pop of colour to your fall wardrobe. This striped canvas option is perfect for travelling. The unique shape of this backpack gives it an expensive feel. The dark wash of this chambray backpack is very fall-friendly. 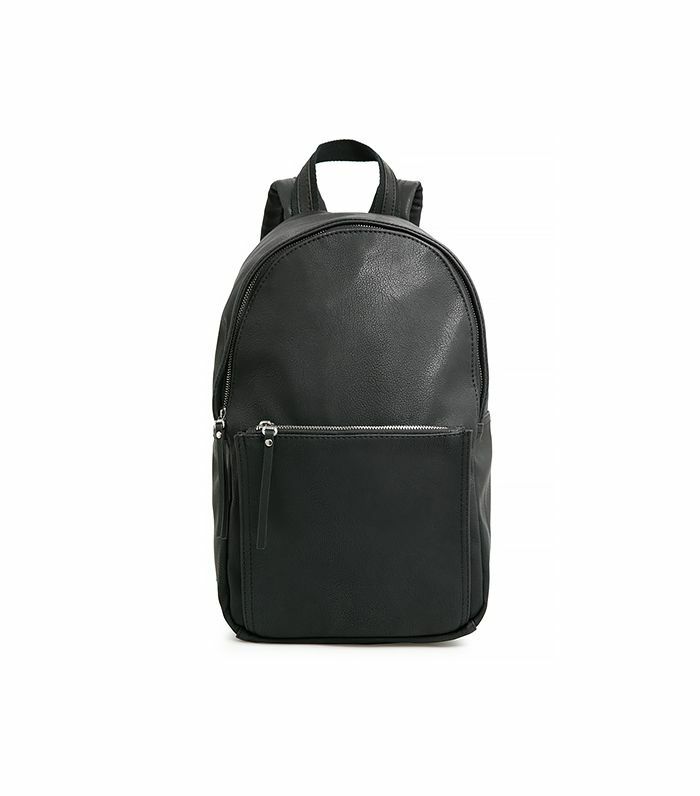 This luxe backpack-bucket bag hybrid in genuine leather is a steal at this price! Everlane’s structured backpack comes with a padded interior laptop pocket. This pairing of cool blue and silver hardware is on-point. If you have more bohemian sensibilities, this fringed suede backpack is perfect. You can’t go wrong with this sleek colour-blocked version. This rich forest green colour stands out from the sea of black and brown bags. On-trend global-inspired panels give this buckled backpack a unique edge. Add a dose of menswear style to your daytime look with this neutral backpack. We love the unique shape of this slouchy denim backpack when worn on both shoulders. Wear this equestrian-inspired handbag with a plaid shirt and high-waisted skinny jeans. What do you think of the backpack craze? Will you be adding one of these options to your bag collection? Sound off in the comments below!